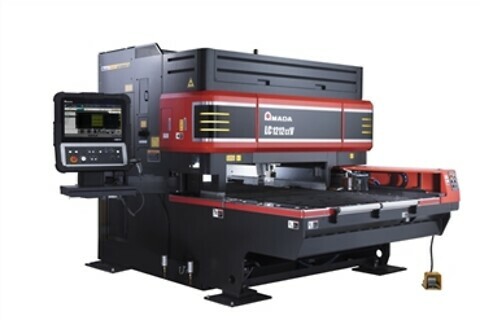 AMADA's laser machines constantly provide our customers with optimum solutions. Among them, the LC ALPHA is the best selling hybrid type laser cutting machine with over 3000 units delivered worldwide since its introduction in 1993 proof of its reliability. The latest LC-αVNT series makes material loading very easy, a feature characteristic of the table type. Many of the features now installed as standard equipment come as a result of our commitment to listening to our customers requirements. The outcome is an upgraded series of laser machines that can cut thicker materials with faster speed, higher accuracy and greater ease of use. With a new, highly tuned oscillator and full brush table, the LC-αVNT is also ideal for automation applications.